Narayana Murthy, who is described as the father of the Indian IT Sector and listed by Fortune Magazine among the 12 greatest entrepreneurs of our time, has not always been successful with his ventures. Narayana Murthy’s first venture, a company named Softronics, failed in about a year and a half after its start. 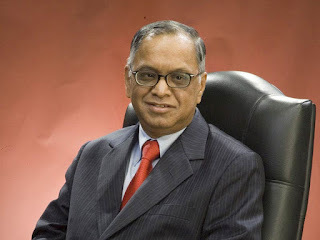 After the failure of his first venture, Narayana Murthy joined Patni Computer Systems and worked there for about five years. He then founded Infosys in 1981 along with six software professionals and a meagre capital provided by his wife Sudha Murthy. Infosys is today India’s fifth largest publicly traded company and the third largest Indian based IT Services company.